Founded in 1995, Spliff Seeds set up with the intention of breeding and providing high-quality seeds to those who wanted them, be they grower, collector, or therapeutic users. Their extensive range of cannabis is separated into two main lines: the Bronze and Silver Line, which hold their regular seeds. Spliff Seeds also have a Gold Line, which is the feminized seeds collection. By popular demand, they recently started adding autoflowering and semi-autoflowering cannabis strains to the collection. It means Spliff Seeds have something for everyone, so if you are looking to discover what they have, look below! The feminized Dutch Blue Automatic by Spliff Seeds is a strain with a blue twist - when grown in colder climates the leaves turn blue. Northern Lights Special made it more cold-proof and Blueberry contributed to the earthy and fruity flavor, Dutch Automatic added the autoflowering attribute and a fast finishing strain was born. 10-11 weeks to harvest and the occasion to get totally mellow. The feminized Medical Kush by Spliff Seeds is based on original Chitrali #1 seeds, which Spliff Seeds got straight from Pakistan - and then they used their Skunk No.1 to stabilize this strain. The result is a predominately Indica (70%) with a flowering time of 8-9 weeks and yields of 350-450g/m². Outdoors it reaches full maturity by mid September/October at a height of 2-2.5m. Painkiller! The feminized Snow White by Spliff Seeds is the epilogue of a genetic drama with actors like White Widow, Cinderella 99 and Northern Lights Special. This 80% Indica has a vigorous growth and massive resin production. Indoors the plants won't get any bigger than 60-80cm, but the yield of 500-600g/m² is authoritative. This highly potent stuff is true knock-out weed with medicinal value. The feminized Sweet 'n' Sour Indoor by Spliff Seeds is a real treat for your nose and taste. The genetic background consists of Mexican Haze, Princess, Skunk No.1 and Hawaiian Sativa, making it a 80% Sativa with a sweet aroma and flavor. The smell is tangy and sweet, with a subtle floral bouquet and sweet and fruity taste that slightly varies depending on the phenotype. The feminized White Widow by Spliff Seeds is a short and stocky plant, but the quality and quantity of the marijuana is top notch. Brazilian Sativa, South Indian and Northern Lights Special genes created a true THC monster with a sour and sweet flavor and a spicy-sweet finish. The high THC level makes this variety highly valuable for medicinal purposes, particularly as a remedy for pain. The feminized Mega Power Plant by Spliff Seeds is what they claim to be the ultimate Indica variety for indoor cultivation. By crossing their super stable Northern Lights with a Power Plant, they created a small plant of 80-100cm with a flowering time of 8-9 weeks and high yields of 500-600g. This beginner friendly variety is very forgiving and quite resistant to diseases and parasites. Medical Kush Automatic needs 10 weeks from seed to harvest. This strain is a crossing of Spliff Seeds’ trusted Medical Kush, a CBD-rich strain that combines Pakistani Chitral with Skunk No.1, and a Dutch autoflowering strain. The automatic version produces buds with a slightly open structure resulting in greater resilience to mould. One may expect high-quality, medium-sized yields of 250g/m². White Widow Automatic produces indoor yields of up to 450-550g/m² in 10-11 weeks from seed. It’s a relatively short plant that doesn’t exceed heights of 60-100cm, but at the same time yields impressively high. Incense aromas are paired with an earthy, hash-like Kush taste. The high of White Widow Automatic provides a pleasant mix between a strong body stone and a psychoactive head high. Possibly one of the best Kush varieties that you can grow today, Moon Walker Kush by Spliff Seeds is an incredibly potent Indica that won’t disappoint. This is powerful medicine that can show you levels of the deepest relaxation while she pleases with an aroma which is no less spectacular. Her high THC levels and powerful smoke make Moon Walker Kush a plant with good medicinal potential. Spliff Seeds gives us another excellent CBD-rich strain that shines with an almost perfect THC and CBD ratio for a powerful yet balanced effect. The proven Kush genetics of CBD Spliff Berry make this beauty easy to grow and the Blueberry parent gives her an awesome fruity taste. This superb CBD rich strain makes getting medicated pure joy! Purple Berry Kush by Spliff Seeds is an easy-growing plant that impresses with a wonderful berry aroma with a Kush aftertaste. Thanks to her powerful, very relaxing effect she is an ideal strain to grow whether you simply want to enjoy a good smoke or want a plant that has some good medicinal potential to help with pain relief or stress. The feminized AK by Spliff Seeds is one of the best choices for the novice grower - it is fast flowering, resistant to mold and performs well on soil, coco or hydro, can cope with higher/lower temperatures and is modest in regards of nutrients. Crossing an AK mother and their Northern Lights Special (90% Indica) created a superb yielder - expect 500g/m² in an indoor setup. The feminized Bubblegun by Spliff Seeds is a predominately Indica strain with high THC and CBD levels and is a very potent painkiller with a definitive Sativa high. This variety grows up to a height of 1-1,2m indoors and yields 400-500g/m² - outdoors it reaches 1,35+m and yields up to 1Kg of rock-hard and sticky fat buds. 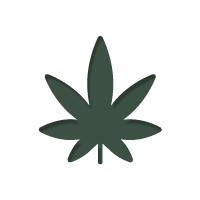 The weed provides a durable and uplifting high and alleviates pain. The feminized Dutch Automatic by Spliff Seeds is an autoflowering variety with a very short life cycle - it takes her only 11 weeks from germination to harvest. The plants grow up to a height of 40-75cm and produce compact and heavy buds, these little ladies deliver 15-35g per plant. The crop has a floral and fruity Skunk aroma and is not suitable for lunchtime consumption. Couch-lock! The feminized Power Plant by Spliff Seeds lives up to its name and delivers 400-500g/m² of weed with an intense lemon aroma and a bittersweet flavor and really packs a punch regarding the THC content. This power-pack is suitable for indoor and outdoor growing where she reaches heights of 70-100cm, respectively 1-1.2m outdoors where she provides 550g of compact resinous buds per plant. The feminized Spliff's Strawberry by Spliff Seeds is a very strong and branchy 80% Sativa with a high THC level and massive yields. The plants grow quite uniform and will flower rather late, but once they do, it takes them only 8 weeks to finish. Spliff's Strawberry develops big rock-hard nuggets all over her - THC-rich and resinous weed with an aroma of tropical fruit and berry flavor. Gold Bar Kush by Spliff Seeds impresses with immense growing vigour, amazing taste and an incredibly potent yet balanced smoke. She may not be the easiest plant to grow, but minor things like her longer flowering time and her very fast growth shouldn’t really dampen the joy of growing this beauty. Look forward to be rewarded with some premium-grade Kush that’s nothing but spectacular.